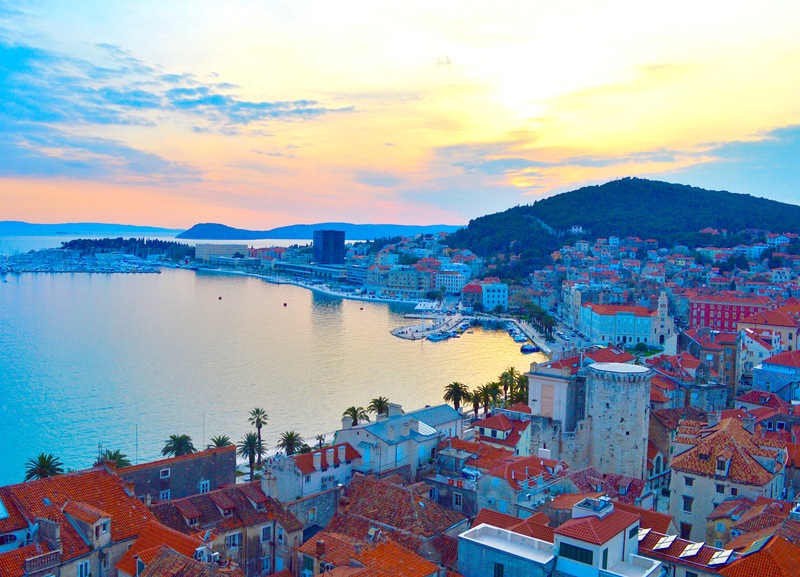 Along the coastline of Croatia lies Split, the country’s second largest city. Full of character, it is the perfect combination of both history and modernity. Within the old city walls are mazes, small alleys filled with quaint shops, restaurants and bars. An outdoor promenade lined with restaurants faces the sea, where you can get a glimpse of the turquoise water. It is the perfect place to enjoy a lovely lunch on the edge of old town, with a view of the sailboats, cruise ships, and locals walking by. 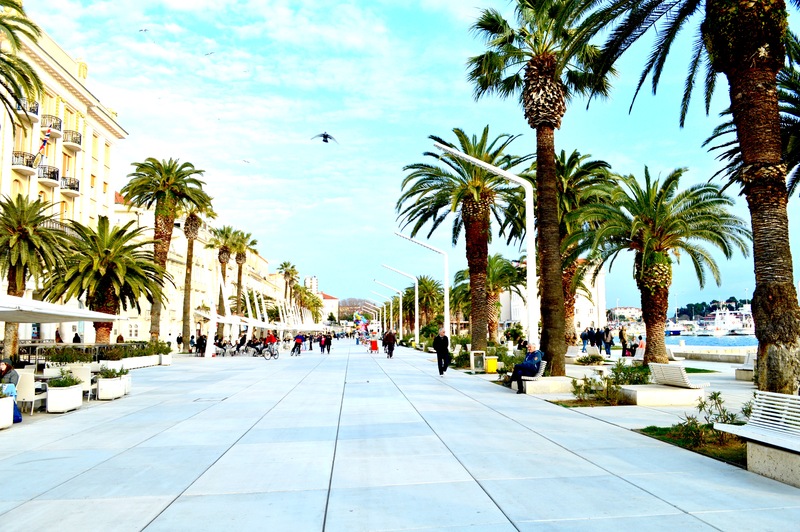 Just like the rest of Croatia, the best time to visit Split would be during tourist season, May- September, when the weather is warm (highs in 80’s, lows in 60’s Fahrenheit). However, to avoid crowds, mid to late April is a good time as well. Split does have its own airport (Airport Code: SPU), with flights coming in from London, Munich, Vienna, Rome and other major European cities. Flying into Zagreb or Dubrovnic and driving along the coast is another option as well. There are various bus tours that stop in Split as part of the itinerary, however we chose a private car. We had a great experience driving from Dubrovnik to Split with Blue Bay Excursions, a local family run company. 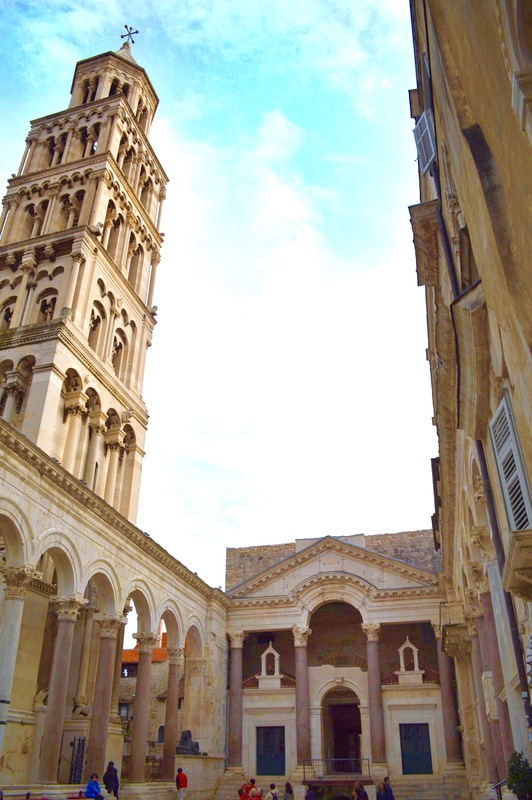 The main attraction in Split is Diocletian’s Palace, the Roman Emperor’s residence in which he lived after retirement until he died in 313 AD. Although the most of the palace had been destroyed, remnants lie throughout the old city. You can spend time walking through and looking around, and even stop by a restaurant to break for a drink. There is no entrance ticket for just the palace view, however if you wish to tour the basement halls it is 40 KN adult/20 KN child. This was originally the mausoleum of Diocletian, as it lies within the palace boundaries. To climb up the bell tower it is 25 KN, and to enter the cathedral it is 25 KN. 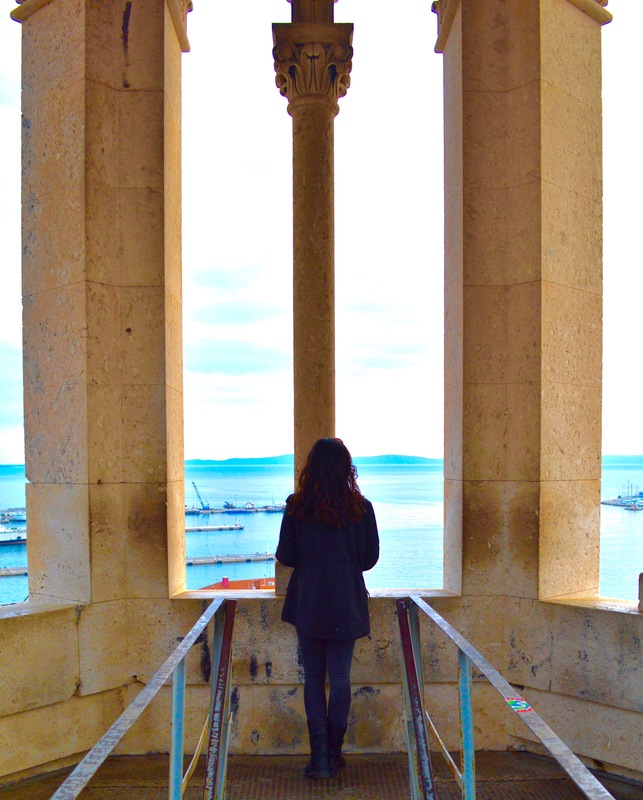 After climbing to the top of the bell tower, you can enjoy a breathtaking view of the whole city of Split and the sea as well. This site is said the be the “lungs of the city.” If the weather is nice, take a quick break and hike up to Marjan. Not only will you get a breath of fresh air but lovely views of the city as well. There are trails running through the forest in which you can choose to hike or you can bike along the seafront (bikes can be rented from the northern entrance for about 15 KN/hour). Gallery of Fine Arts: Located very close to the palace, this building was once the city’s first hospital. Here you can see a mix of ancient and modern Croatian art pieces. Entrance tickets are 20 KN adult/10 KN child. Archaeological Museum: A ten minute walk from the town center, here you can see excavations from the Roman and early Christian periods. Tickets are 20 KN adult/10 KN child. Ethnographic Museum: Get a glimpse into the old life and culture of Dalmatia. You can see old photos, costumes and other pieces important to the citizens. Tickets are 15 KN adult/10 KN child. 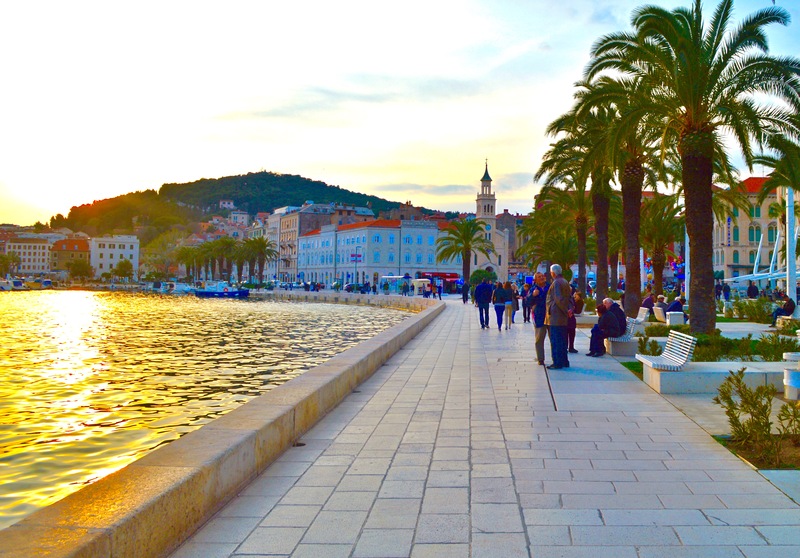 There is a large selection of restaurants, mostly local Croatian, seafood, Italian and Mediterranean cuisine. There is a variety of small casual mom and pop type places, as well as modern/trendy places. Bokeria- Located in the old town. More on the trendy side, great variety on the menu, and presentation and atmosphere are fantastic. Lovely selection of wine and drinks as well. Galija- Hidden gem, located inside old town. Well lit outdoor seating covered in Christmas lights. Pizza was really good, staff was really friendly, and everything is reasonably priced. 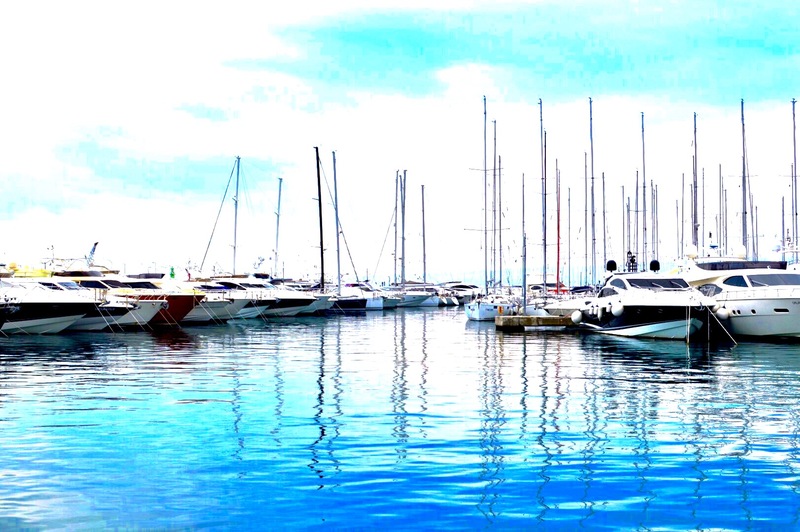 Brasserie on 7- Located right on the promenade (Split Riva). We stopped here for a coffee break, lovely hot chocolate! Very homey feeling, decorated in shades of aqua and sand. Gives you the feeling of being on the ocean. Their lunch and dinner menu consists of a mix of seafood, burgers, and more.